I did try this recipe last night. It was REALLY GOOD. I felt like this was venturing out for me, and I'm glad I did. Kyle ate two sandwiches and I ate one. I served it with a side of chips. Yummy stuff and super easy. 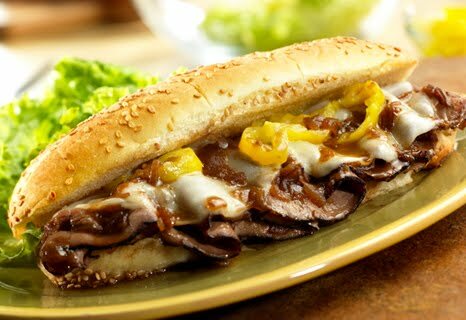 In less than 15 minutes, you can put together these mouthwatering, restaurant-style sandwiches that get a kick from banana peppers and cheesy goodness from melted provolone. Enjoy! Easy Substitution: You may substitute 1/2 of a 11.25-ounce package Pepperidge Farm® Texas Toast (4 slices), prepared according to package directions, for the rolls in this recipe. Serve the sandwiches open-faced.